The Center for International Programs (CIP) is dedicated to serving current and prospective international students as well as students interested in studying abroad. International recruitment, admissions, immigration and study abroad are all housed in the CIP. At the CIP, international students find a home away from home, resources for immigration support, general academic advising, and help adjusting to life in the United States. Domestic students can visit the CIP to learn more about study abroad opportunities, including programs that fit both their majors and budgets. The spread of international education throughout HSU's campus and the wider community is made possible by many CIP-run programs, including International Education Week, held yearly in February, and the International Cultural Festival, held yearly in November. 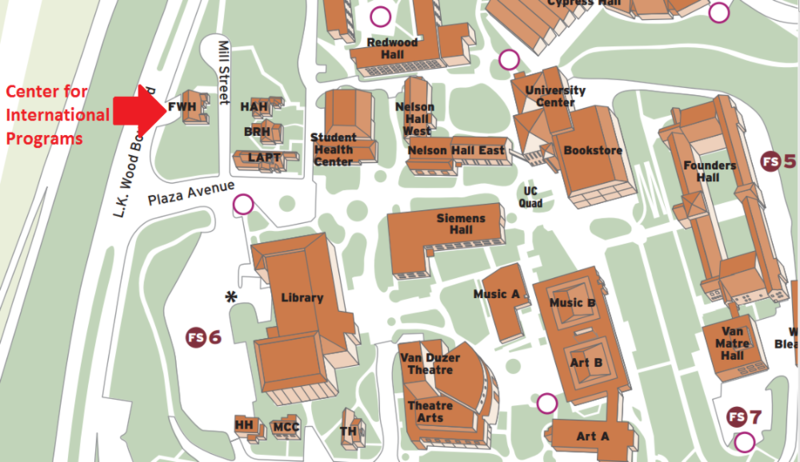 The Center for International Programs is located in the Feuerwerker House (House 13), between Mill Street and LK Wood, near Library Circle.